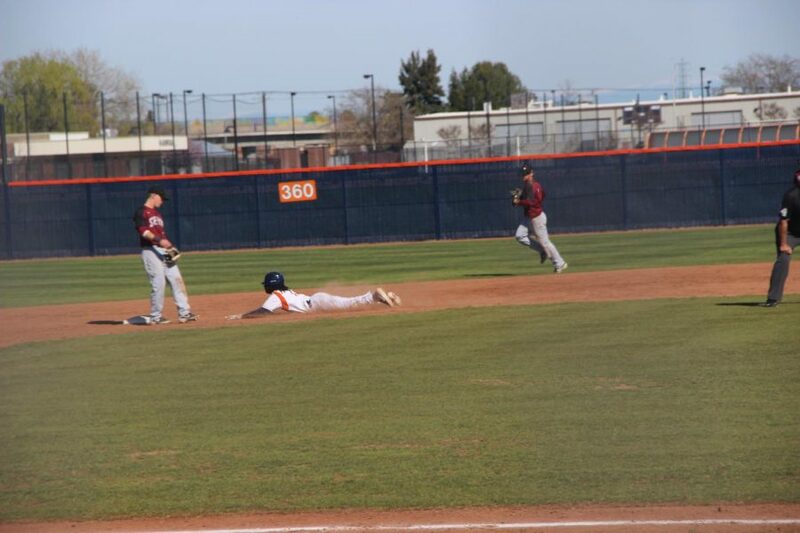 Freshman infielder Essex Brown stole second and later scored in the 5th inning on Thursday. 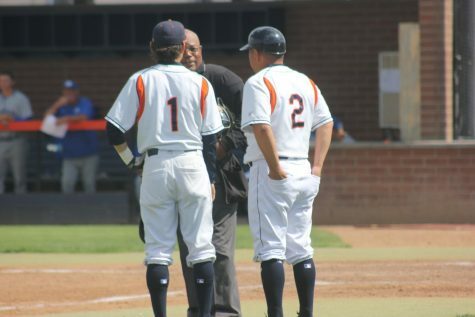 The Hawks struggled against the Wolverines powerful offense, giving up 39 runs in the three game series, including 14 on Thursday. 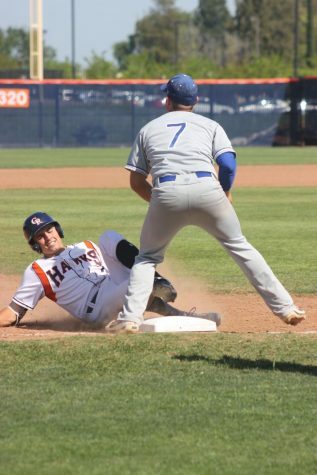 After rallying back in the bottom of the ninth inning, the Hawks baseball team fell short Thursday against the Sierra Wolverines with a final score of 14-10. 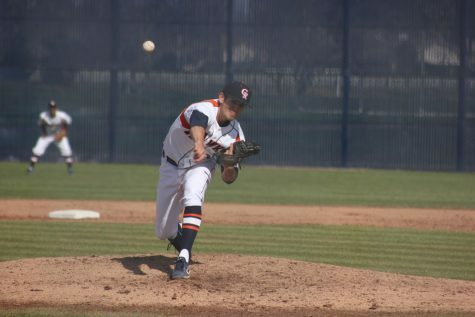 Sophomore right-handed pitcher, Josh Caldwell, got the start on the mound and gave up four earned runs on nine hits, striking out three. The rest of the pitching staff gave up a combined five earned runs. 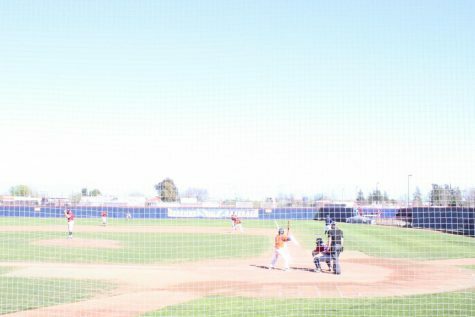 The Hawks first run came in the bottom of the fifth inning on an RBI single by sophomore outfielder Burle Dixon, scoring Essex Brown. 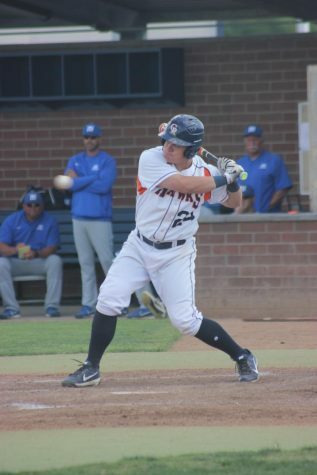 The second run of the game for the Hawks wasn’t scored until the eighth inning when utility player Joey Pankratz singled, scoring freshman outfielder Jorge Montoya. 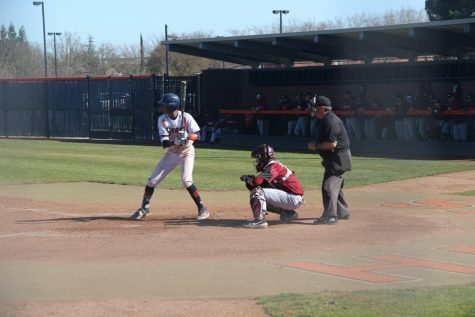 Although the team got off to a slow start on Thursday, the Hawks know what they have to do to improve in the series finale against Sierra. 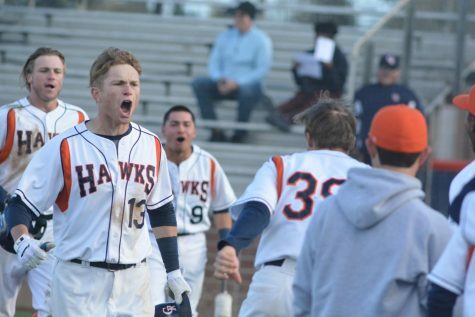 Down by 12 runs headed into the bottom half of the ninth, the Hawks rallied for eight runs, highlighted by sophomore catcher Mark Aubrey’s bases clearing triple into the right center gap and dead ball advance to home plate. 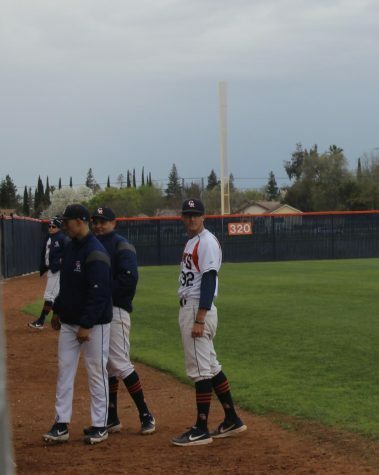 Starting sophomore shortstop JD Mico, who sat Thursday’s game out due to a hamstring injury, said the team has something to build off of after the slow start early. 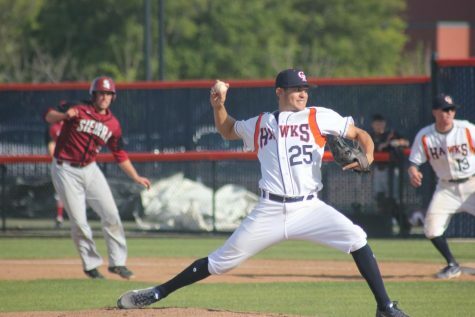 The Hawks, who are still fourth in the conference after the loss, will play at Sierra College on Friday for the final game of the series before their two non-conference games next week.